The foremost anti-corruption agency, EFCC has revealed why Innoson Motors’ boss was arrested, and that he has been freed. 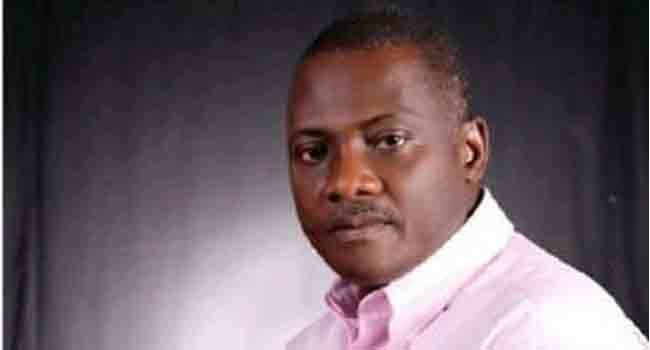 The Economic and Financial Crimes Commission, EFCC, has released the chief executive officer of Innoson Motors, Innocent Chukwuma. In a statement issued by its Head of Media and Publicity, Wilson Uwujaren, he said the businessman was released on bail. The statement reads: ”The Economic and Financial Crimes Commission has released Nnewi, Anambra-State born Industrialist, Chief Innocent Chukwuma on bail. ”The business man who runs a local auto assembly plant was arrested on Tuesday December 19, 2017 at his Enugu residence, following his refusal to respond to invitations by the Commission, after initially being granted administrative bail by the Commission, while his surety could also not be found. ”Unfortunately the industrialist resisted arrest and stirred controversy by bringing six truck-loads of thugs to block the entrance to his Plot W1, Industrial Layout, Abakaliki Road, Emeni, Enugu, home. ”This was after he initially misled the Police Command by informing them that his home had been invaded by armed robbers and kidnappers despite the fact that operatives of the Commission duly identified themselves to policemen guarding his home. ”His unruly thugs encircled and manhandled operatives of the Commission who had gone to effect the arrest. Consequently, a distress call was sent to the Commission’s Enugu Office for reinforcement. ”Chief Chukwuma and his brother, Charles Chukwuma (who is still at large), are being investigated by the Insurance and Capital Market Fraud Section of the Commission’s office in Lagos over matters bordering on N1, 478, 366, 859.66 fraud and forgery.